The U.S. government passed the Superfund Amendments Reauthorization Act in 1996. As a result, OSHA created and began enforcing standards for HAZWOPER, short for hazardous waste operations and emergency response, for employers and employees engaged in hazardous waste operations such as those responsible for responding to emergencies involving hazardous waste and cleaning up hazardous waste sites. General HAZWOPER regulations are mandated under standard 29 CRF 1910.120. That standard outlines health and safety requirements for employers to follow to protect workers who run the risk of potential exposure to hazardous substances. It also sets the training criteria required to ensure worker health and safety during emergency responses and cleanup of hazardous materials. According to OSHA, the purpose of HAZWOPER is to minimize and prevent worker injury and illness that could result from exposure to hazardous materials. 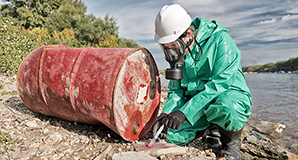 Since this is the goal of the HAZWOPER standards, it’s only natural that designated employers and their employees must undergo general or occasional site worker HAZWOPER training courses. In general, employers and employees in five distinct groups must take an initial round of HAZWOPER training and complete subsequent training courses every year thereafter. HAZWOPER courses are vital to ensure worker safety as well as the well-being of the general public and the environment. 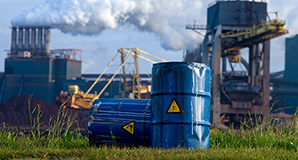 Exposure to hazardous materials can result in both short- and long-term health and environmental issues that can even result in death. To prevent those things from happening, or at least to minimize the instances in which they occur, OSHA requires certain employers and their employees to undergo annual training that can prove to be life-saving in emergency or sometimes daily situations. Hazmat School offers OSHA’s 24-hour HAZWOPER Occasional Site Worker certification training as well as the annual HAZWOPER refresher training and online HAZWOPER supervisor training. Since we offer our courses over the internet, you’re able to start and complete your required training at times that are convenient for you. When you finish your OSHA-approved course and pass the final exam, you’ll receive your certification online immediately. Hazmat School offers both initial and refresher courses in HAZWOPER. The initial HAZWOPER training generally consists of a 24-hour course but may need to be upgraded to a 40-hour course. Your job type and level of experience will determine the specific training course you’ll need to take. Usually, anyone working around hazardous materials above the PEL are required to wear respirators and will need the 40-hour HAZWOPER certification. You are able to take the 24-hour HAZWOPER training online but the additional 16-hour upgrade is required to be done as hands-on training per OSHA. Our online HAZWOPER refresher training courses will enable you to remain in compliance with federal regulations when completed promptly. At least eight hours of HAZWOPER training is required every year after you earn your initial certification. If you fail to complete your HAZWOPER refresher training every 12 months, you may have to repeat your initial training. We know you have a variety of ways to get the HAZWOPER training you need to start a new career or continue with your current one, but we can assure you that Hazmat School is your best option. Our online HAZWOPER training courses are guaranteed to satisfy OSHA mandates. You can take our training courses any time of day or night and complete them from any location. Because people take our courses at all hours, we ensure remote instructors are available around the clock to assist our students. 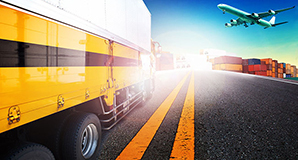 We provide superior customer support, which is unrivaled by our competitors. Your remote instructor will also never let you miss your HAZWOPER refresher deadline. We will send you a reminder when your course is coming up for renewal so you don’t let your HAZWOPER certification lapse. Our training courses aren’t just convenient and well-supported. They’re also affordable for individuals, corporations and groups. We offer discounts of as much as 20 percent to groups, corporations and government employees. Browse our HAZWOPER training courses online and register for a certification or refresher course today.